Laser Nail Therapy is the #1 PinPointe Laser Provider in the U.S. The first clinically proven laser device for treating patients with toenail fungus. Stop suffering the pain and embarrassment of unsightly toenail fungus. PinPointe FootLaser is an easy and convenient treatment to transform your discolored and disfigured nails into clearer, healthier looking nails. Safe and effective, this in-office toenail fungus treatment is pain free, has no harmful side effects, and typically takes only 30-minutes to complete. Toenail fungus infections are the most common cause of yellow, thick and deformed toenails. The nails can become rough and brittle, and often tend to separate from the nail bed. The fungus that infects the toenail is usually the same fungus that causes athletes foot. It tends to be a progressive infection that damages the nail. The infection usually starts at the tip of the nail and progresses gradually to the nail bed. It can affect a single toenail or several nails on one foot or both feet. The fungus thrives in moist and dark environment; therefore this is more likely to affect toenails than fingernails since shoes can cause sweaty feet. Toenail fungus is a chronic condition that impacts your quality of life and can even lead to serious health problems for patients with diabetes or immune disorders. The treatment of toenail fungus is difficult because the infection is under the nail, which makes it hard for medications to reach and fight the fungus. Treatment of Toenail Fungus is difficult because the infection lies under the toenail and is difficult to reach by standard topical medications. Treatments such as antifungal nail polish or oral medications may be associated with side effects or harmful drug interactions. Home remedies such as bleach, vinegar, mouthwash, or tea tree oil are often recommended, but ultimately fail to resolve the problem. Unlike oral medications, the laser treatment targets only the toenail fungus, so there is no risk of liver toxicity or interaction with medications. Prescription drugs, ointments or laser treatment used to be the most common treatments for nail fungal infections, but today the PinPointe Foot Laser is the first machine to receive FDA clearance and is considered the by many doctors as the gold standard of toenail fungus treatment. The Toenail Fungus Laser is penetrating under the nail without damaging the nail or the tissue around the nail. Even if treatment is successful, nail fungus often comes back if proper post-treatment care is not maintained. We recommend applying antifungal medicine on the healthy nails as well as using an anti-fungal shoe spray. Laser Nail Therapy clinics have treated and cured over 50,000 patients. Why do people prefer to treat their nail fungus in our clinics? Simply, because we offer the easiest, most efficient solution to get clear fungus-free nails. For example, medications such as Jublia™ need to be applied for over one year and cures less than 10% of the patients. Compare that to a one hour treatment with our laser with a success rate of about 85% and you can easily see the easiest, most efficient solution to toenail fungus. Some toenail fungus lasers such as Cutera™ require 3 treatments to work, and even then they don’t achieve the same level of clear nails achieved by the Pinpointe Foot Laser. Topicals such as tea tree oil, Vick’s ointment or anti-fungal nail polishes have less than 2% efficiency if you apply them regularly on your nail for several months. Toenail fungus infection is the most common cause of yellow, thick and deformed toenails. The nails often become rough and brittle, and often tend to separate from the nail bed.The fungus that infects the toenail is usually the same fungus that causes athletes foot. It tends to be progressive infection that damages the nail. The infection usually starts at the tip of the nail and progresses gradually to the nail bed. It can affect a single toenail or several nails on one foot or both feet. The fungus thrives in moist and dark environment. Therefore is more likely to affect toenails (sweaty feet inside shoes) than fingernails. 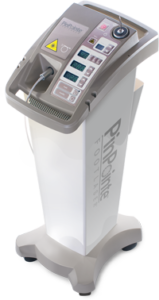 Prescription drugs, ointments or laser treatment used to be the most common treatments for nail fungal infections, but today the PinPointe Foot Laser is the first machine to receive FDA clearance and is considered the by many doctors as the gold standard of toenail fungus treatment. The Toenail Fungus Laser is penetrating under the nail without damaging the nail or the tissue around the nail. Even if treatment is successful, nail fungus often comes back if proper post treatment care is not maintained. We recommend applying antifunal medicine on the healthy nails as well as using anti-fungal shoe spray. Laser Nail Therapy clinics treated and cured over 50,000 patients. Why people prefer to treat their nail fungus in our clinics? Simply, because we offer the easiest, most efficient solution to get clear fungus-free nails. For example, medications such as Jublia™ needed to be applied for over one year and cure less than 10% of the patients. Compare that to one hour treatment with our laser with success rate of about 85% and you can easily see the easiest, most efficient solution to toenail fungus. Some toenail fungus lasers such as Cutera™ requires 3 treatments to work, and even then they don’t achieve the same level of clear nails achieved by PinPointe Foot Laser. Topicals such as tea tree oil, Vick’s ointment or anti-fungal nail polishes have less than 2% efficiency if you apply them regularly on your nail for several months.